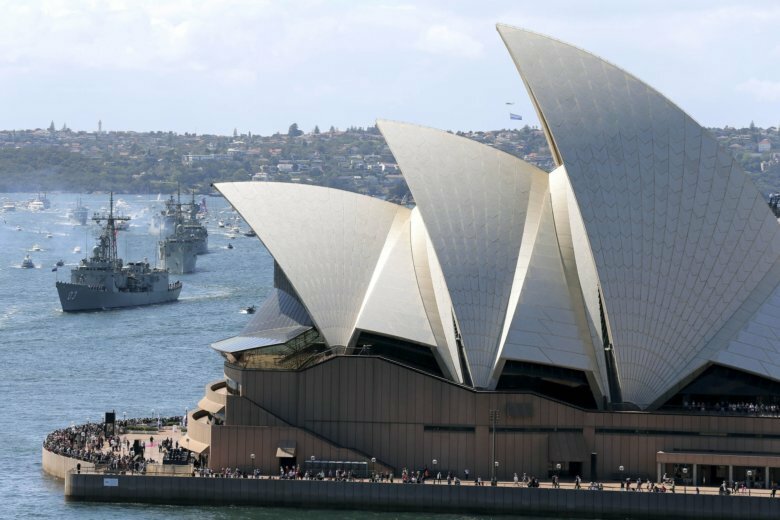 CANBERRA, Australia (AP) — Starting a new life in Australia might not come with views of the Sydney Opera House or surfing at the city’s Bondi Beach with the government considering a ban on some immigrants from settling in big cities. Minister for Cities, Urban Infrastructure and Population Alan Tudge said Tuesday that his government wants to cut the number of immigrants moving to Sydney and Melbourne in a bid to reduce congestion in Australia’s two biggest cities. Tudge said placing conditions on visas that force immigrants to stay in less popular centers for several years would increase the likelihood that they would settle in those places permanently. “Nearly every visa has conditions attached to it, so it wouldn’t be unusual to have a geographic attachment to a particular visa,” Tudge told Australian Broadcasting Corp.
Australia is one of the most sparsely populated countries in the world, but has long had a high proportion of its population — currently 25 million people — living in cities. Around two in every five Australians live in Sydney and Melbourne alone. The government is considering banning immigrants from settling in Sydney and Melbourne for five years after they arrive in the country, The Australian newspaper reported. Tudge would not say how immigrants might be punished if they strayed from where they were supposed to live or whether they might be deported. “We haven’t outlined all of the precise details just yet,” he said. Australia has the fastest population growth of any advanced Organization for Economic Cooperation and Development country other than Canada, growing 1.6 percent a year. But the population of Melbourne grew last year by 2.7 percent, the population of the southeast corner of Queensland state around Brisbane and the Gold Coast grew by 2.3 percent, and Sydney grew by 2.1 percent. The main driver of population growth in Sydney and Melbourne was overseas migration, with 87 percent of skilled migrants to Australia and almost all refugees gravitating to those cities. Growth in the Brisbane-Gold Coast region reflected higher levels of population shift within Australia and a higher birthrate. Tudge said some categories of immigrants would be exempt from geographic blocks. Migrants who were sponsored by employers would be able to work where employers need them and those on family reunion visas, typically a foreigner marrying an Australia, would also be free to live where they chose. Sponsored employees make up 25 percent of Australia’s immigrant intake and family reunion visas make up 30 percent. “People are voting with their feet, they want to be in cities and so I think the job for government is to ensure that cities work and that people can get around rather than to try to get people to go where they don’t want to go,” Terrill said. Melissa Montero, an immigrant advocate and chief executive of the Sydney-based Community Migrant Resource Center, said immigrants need social support, language services as well as jobs to successfully resettle. Carla Wilshire, another immigrant advocate and chief executive of Migrant Council Australia in Canberra, suggested that government invest in services outside Sydney and Melbourne to make smaller towns more attractive to immigrants. Mark Morey, secretary of Unions NSW, which represents trade unions in New South Wales state, said the government’s plan would leave immigrants isolated, with fewer job options and with less pay than they could hope for in big cities.